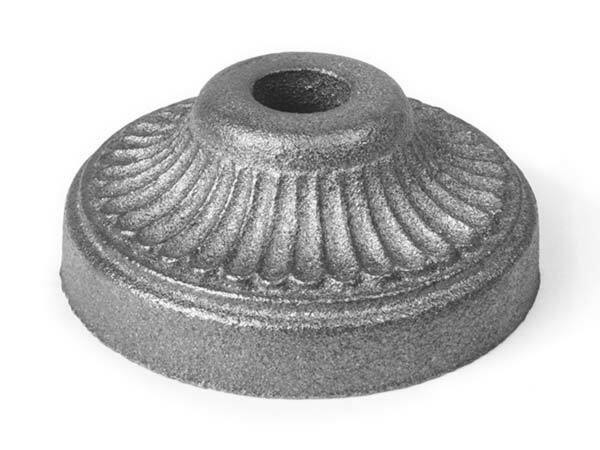 Our Round Decorative Iron Bases are made to accommodate round tubing - they may actually be square or round in shape. Usually made of Cast Iron, these Round Bases are both decorative and functional. They mount Pickets and Balusters to most surfaces and cover the hole in the surface where that Picket or Baluster is mounted. Round Bases are used with Round Tubing of the size outlined in the "Use With" box below.